Elyett Secures Second Place with Art on the Runway Inspired Design – Mission Catwalk forerunner Theodore Elyett out-stitched eight designers to secure a second place finish in episode four which aired May 4. The challenge required all designers to use a selected work of art as inspiration for their original design. 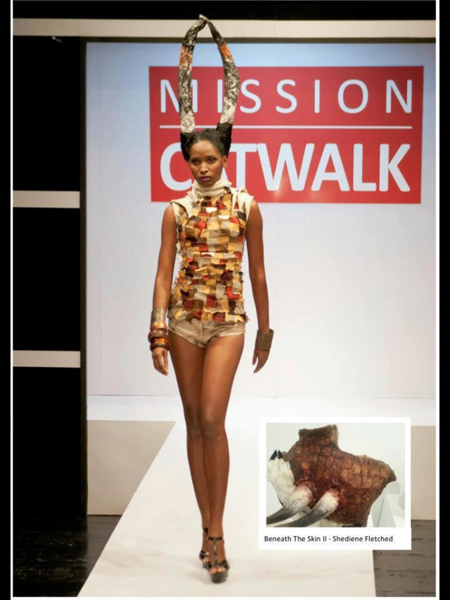 Elyett’s design which featured a patchwork bodice and handmade headdress depicting cow horns drew inspiration from Beneath the Skin 1 & 2 – a two-part bust sculpture by Jamaican artist Shediene Fletched. The sculpture represented the artist’s struggle to recover from a horrific car accident. Following episode two, Elyett advanced as the week’s ‘fan favourite’ securing an overwhelming 52% of the votes tabulated in Jamaica by Mission Catwalk sponsor Digicel. The Bahamian designer remains at the forefront of the competition as the show’s ‘fan favourite’ for the third consecutive week securing 37% of the votes. Elyett placed second in episode four which aired May 4, dominating the runway with a risqué look complete with handmade horns in keeping with the challenge theme ‘art on the runway’. Thedore Elyett Emerges as Mission Catwalk ‘Fan Favourite’ - Theodore Elyett dominates Caribbean design competition Mission Catwalk as ‘fan favourite’ for third consecutive week capturing 37% of the votes following episode three. 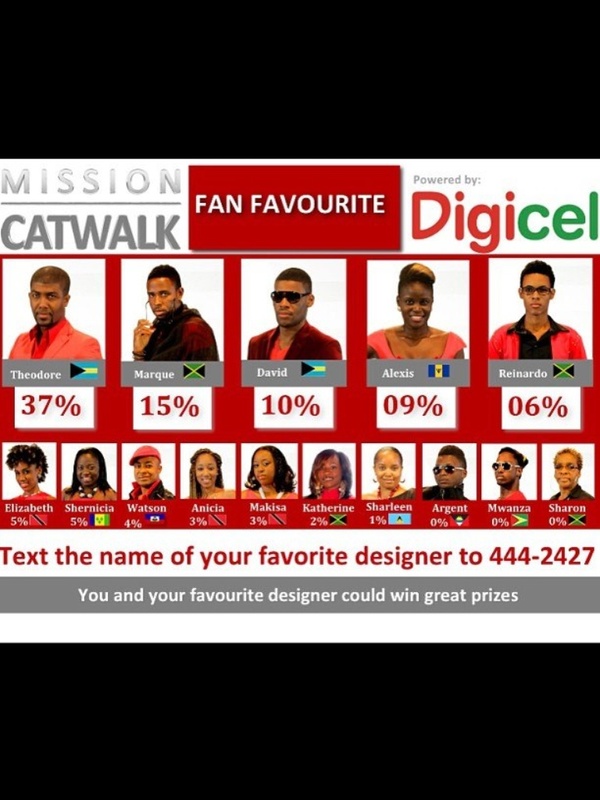 The ‘fan favourite’ title is tabulated weekly in Jamaica by Mission Catwalk sponsor Digicel. Local fashion enthusiasts following the show have also shown respect for Elyett’s designs, clamoring to own an original Theodore Elyett piece. Since appearing on the show, the designer has outfitted Mrs. Bernadette Christie, wife of the Prime Minister and several other fashion enthusiasts in his winning ‘runway to retail’ design from episode one of the competition. The fashion design competition which premiered with 15 designers from around the Caribbean on April 13, now has 10 designers representing nine Caribbean countries remaining, 2 of whom are Bahamian. Tune in to Mission Catwalk Saturdays at 9:30 p.m. and Wednesdays at 8:30 p.m. on Cable Channel 12 or watch online via Youtube.com.